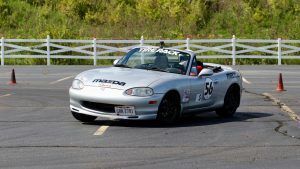 Cincinnati Region SCCA hosted Great Lakes Divisional 2 day event / Cincinnati Region Point Event 6. SOLOSHOT worked very well on Saturday and aside from some forcus issues, it tracked very well! Special Thanks to Mike Riegel for awesome photos! ← Start Building a Playground for This Weekend!